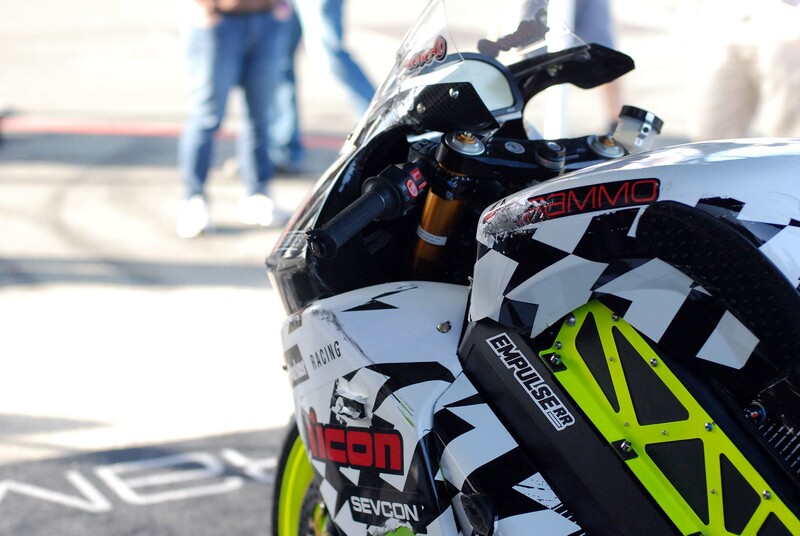 Retaining the same basic shape as last year’s bike, the 2012 Brammo Empulse RR is still a looker, due mainly to its very “Iconic” livery scheme. 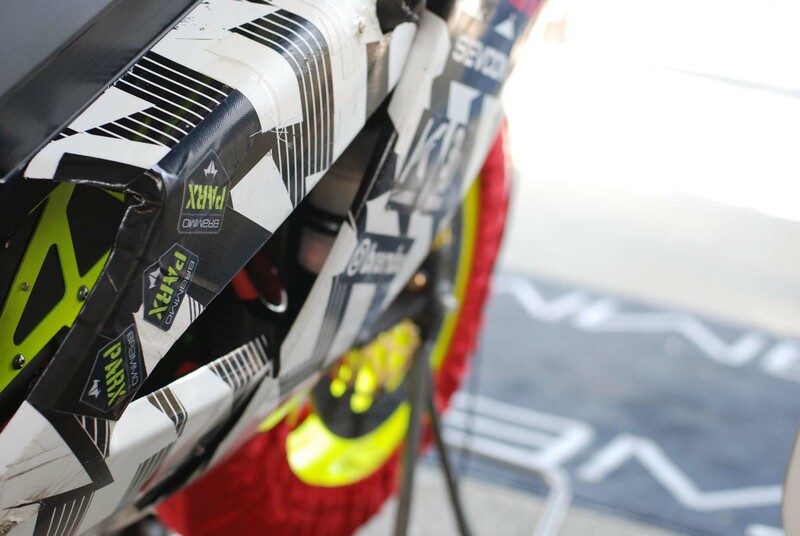 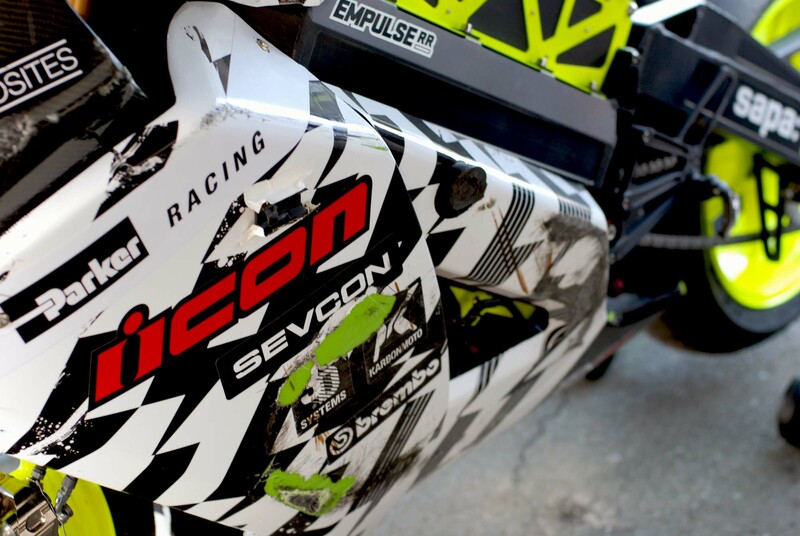 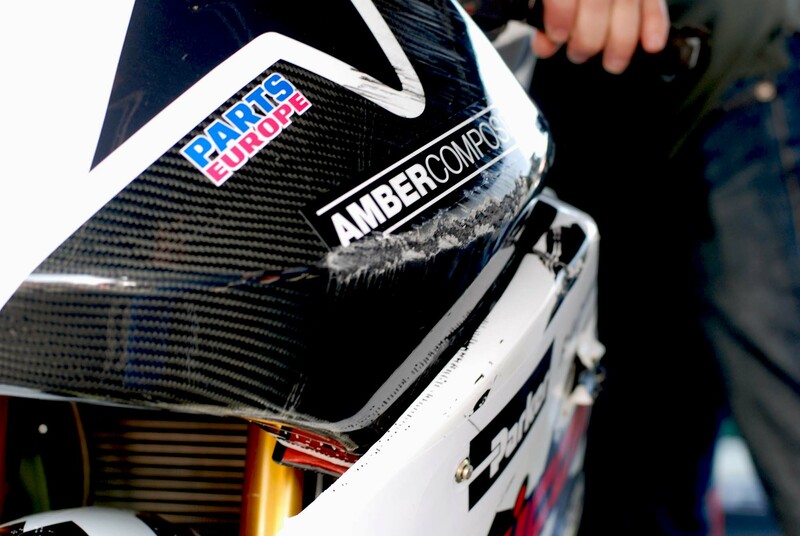 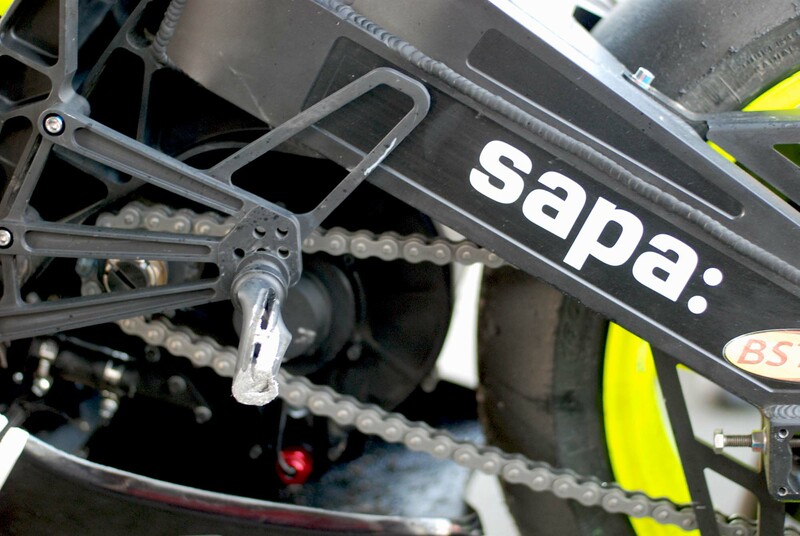 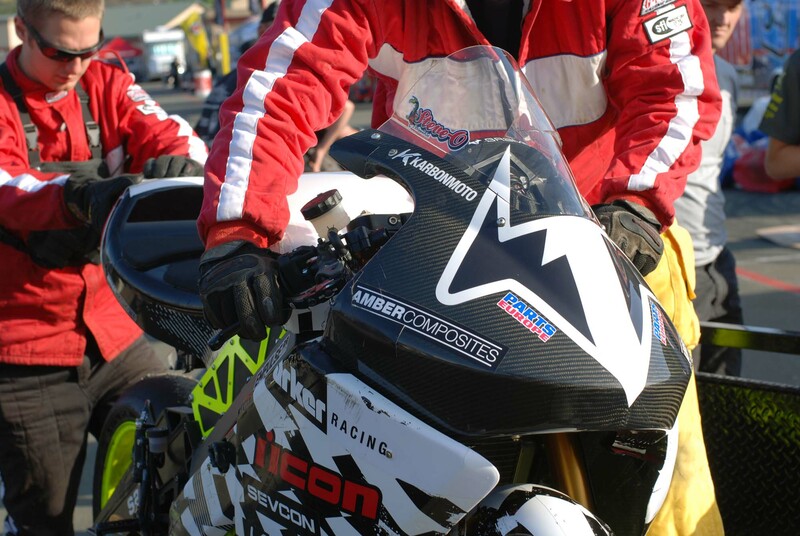 Keeping things an Oregonian affair, the addition of Portland-based Icon as a sponsor to the Brammo racing effort bodes well for the team, and brings more validity to the budding electric motorcycle racing scene. 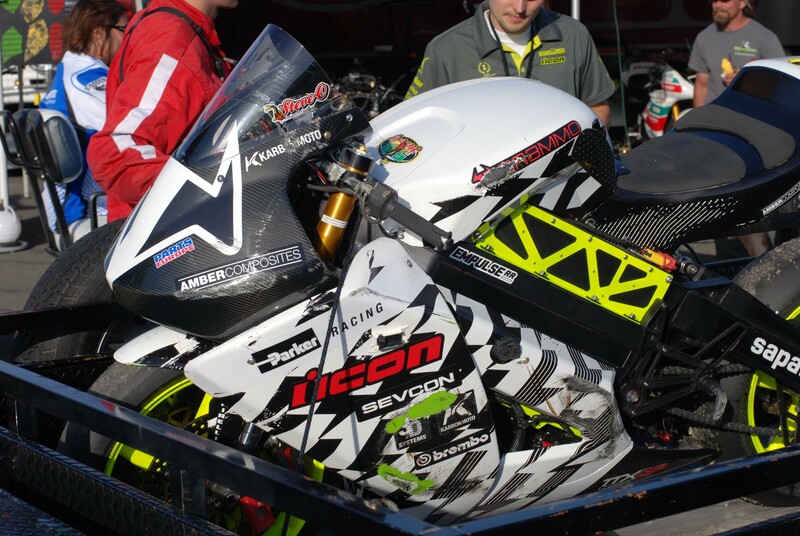 It’s just a shame the color scheme lasted all of a few hours for Team Icon Brammo at Sears Point Raceway this weekend. 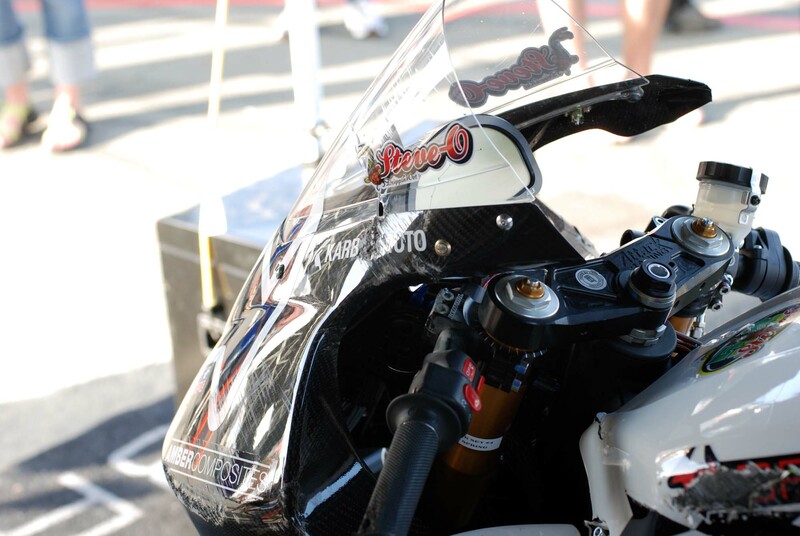 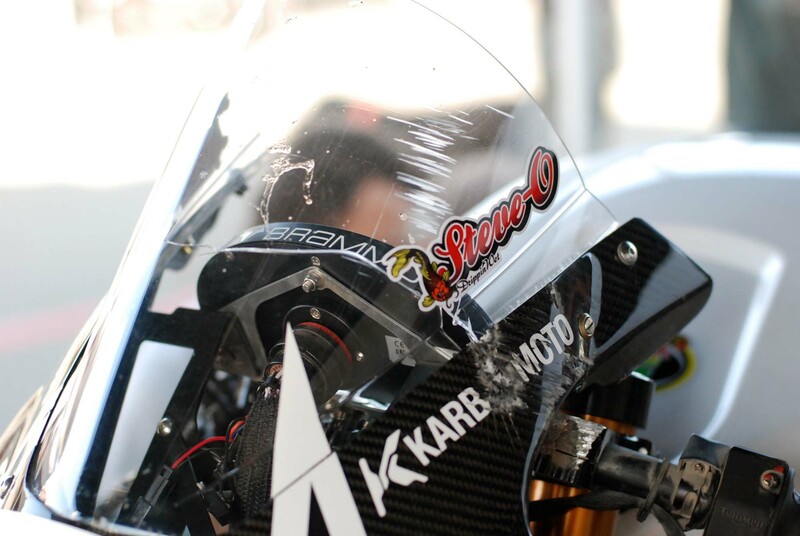 Crashing in yesterday’s first TTXGP practice session, Steve Atlas was diagnosed with six fractured vertebrae. 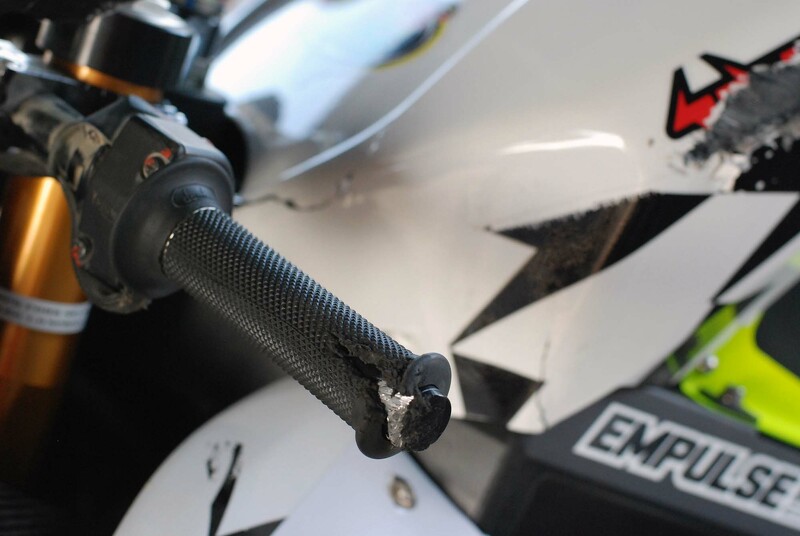 With a thrashed bike, the Brammo squad managed to cobble together the race bike again, and thanks to its busy black & white design, one could barely see the black gaffer tape and white electrical tape that was keeping things together. 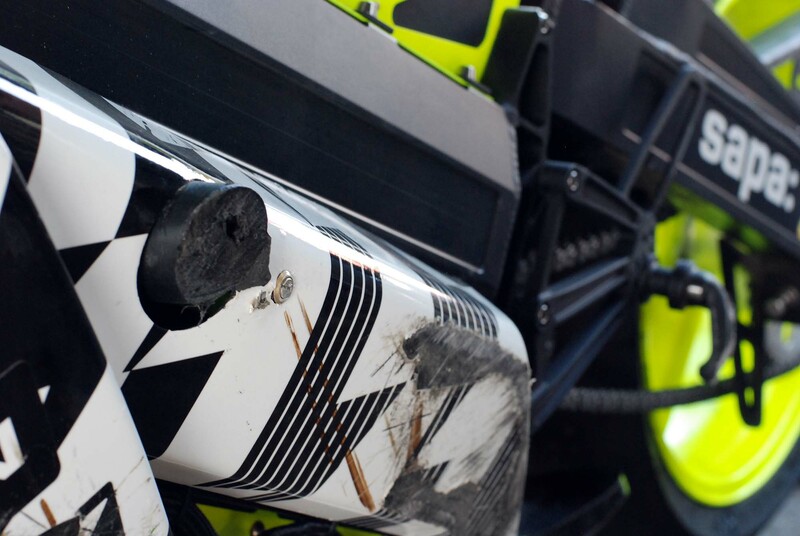 Now with 130 hp at the rear wheel, as well as 35 lbs less poundage on its bulk, the revised Empulse RR clearly has a problem with people named Steve, as the electric motorcycle once again bucked a rider off, also again in Turn 7 at Sears Point. 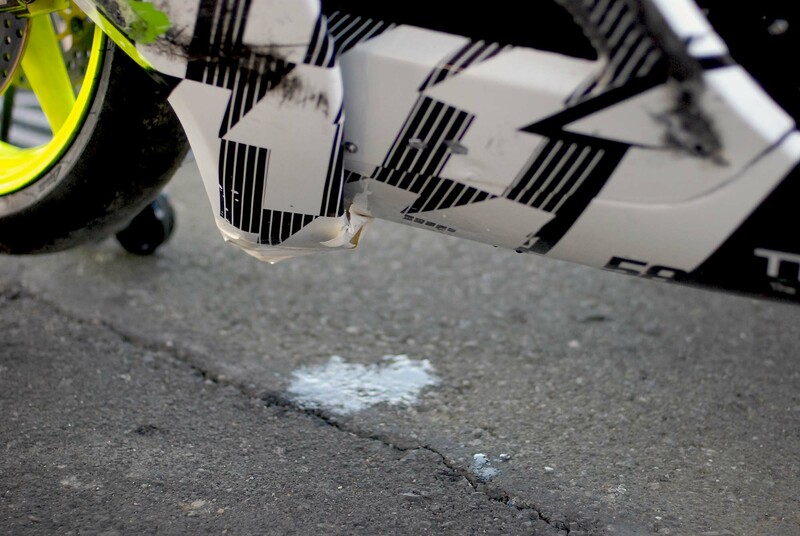 Highsiding Steve Rapp during Saturday’s qualifying session, it is not clear what caused the rear wheel of the Empulse RR to spool up, as Rapp said he was still straight up and down with the bike when he went airborn. 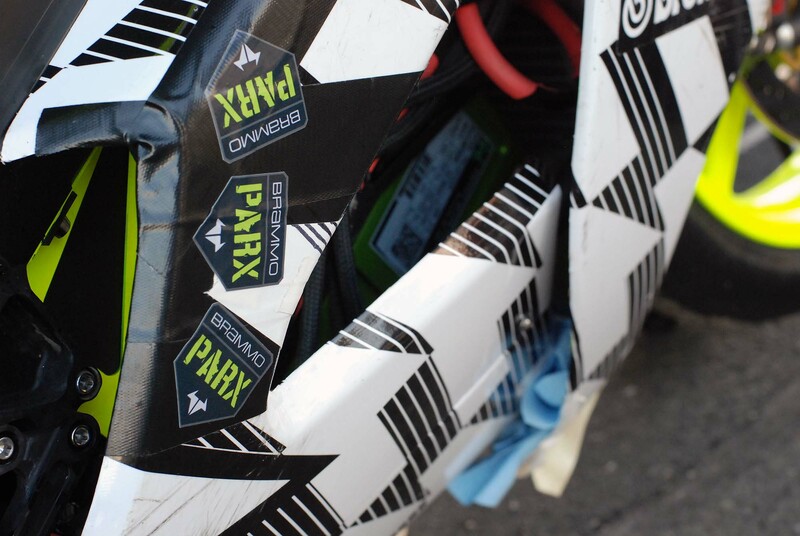 With fluid dripping from the bike afterwards, and Rapp stopping a lap earlier or two earlier because of the bike cutting out, the Brammo team is surely still pouring over the data as we type. 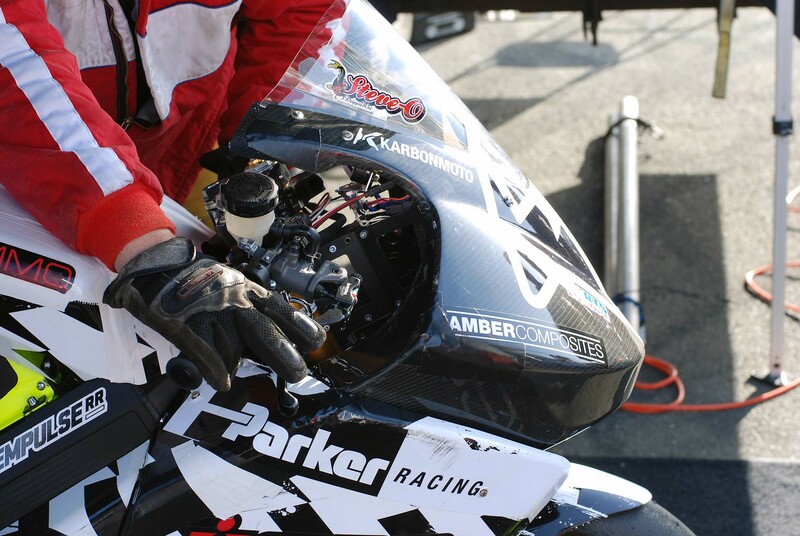 That effort will do little to change the fact that Rapp has likely broken his hand from the incident, and will be out of racing the rest of the weekend, much to the chagrin to the Attack Performance AMA Superbike team, which Rapp took to a sixth place finish that same day in Superbike Race 1. 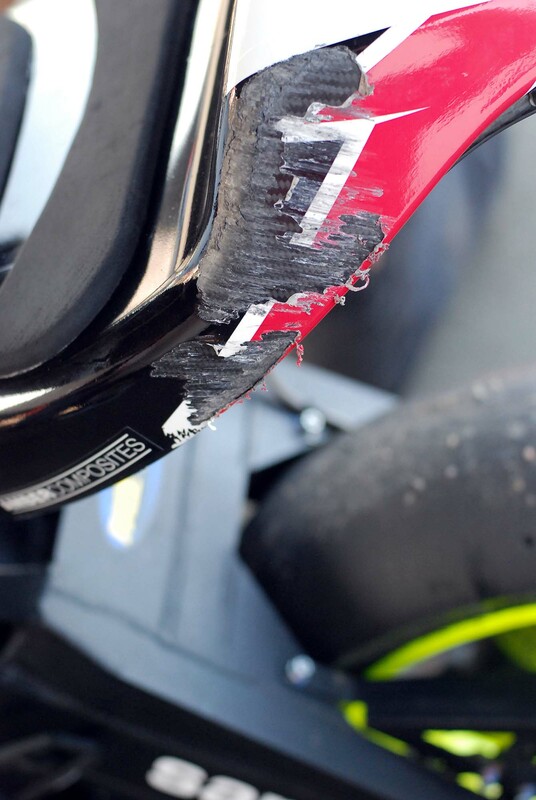 As you can see from the photos after the jump, the damage does not look too extensive to the bike — though, our assessment is only skin deep. 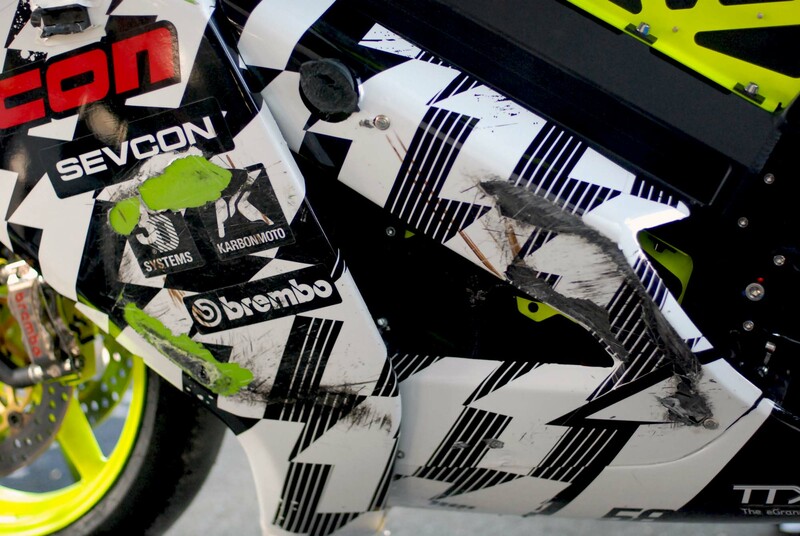 Two riders, two highsides, one corner…no bueno. 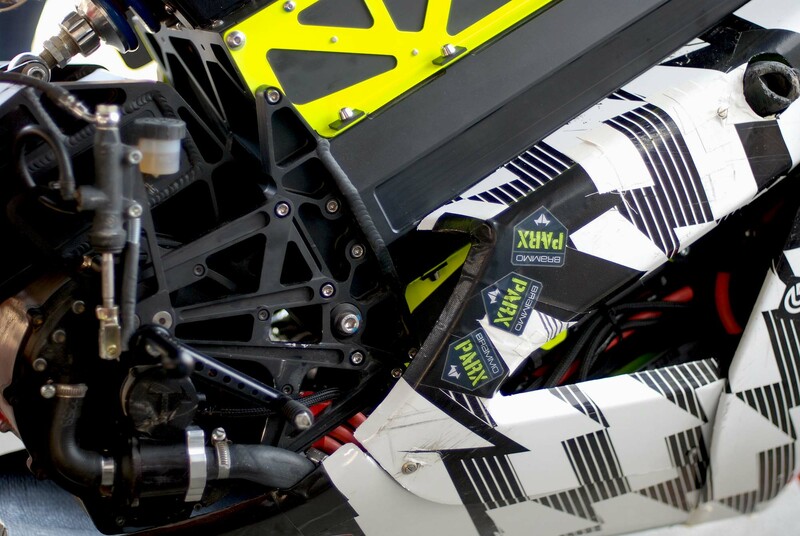 Surely not the result the Ashland-based crew wanted before it launches the street-bike version of the Brammo Empulse on Tuesday next week, it’s not clear if Brammo will try and race tomorrow, or if they even can race sans a healthy rider who lapped during Saturday’s qualifying.